JOIN us Thursday May 18th 6-8pm for Somatic Experiencing (SE) in Private Practice. Learn about the use of SE in private practice and how you might add this specialty into your own work. Light snacks and refreshments will be served! Come learn about this specialization and how to have a Private Practice! Somatic Experiencing(SE) is a gentle and highly effective psycho-biological approach to the prevention and resolution of trauma and stress related conditions. Developed by Peter A. Levine, PhD, bestselling author of the book, "Waking the Tiger Healing Trauma." Bernadette Talia is a licensed Clinical Social Worker and has been practicing SE and assisting at the SE Professional Training since 2005. She is a certified EMDR therapist and is also trained in the Gottman Method for Couples Therapy. 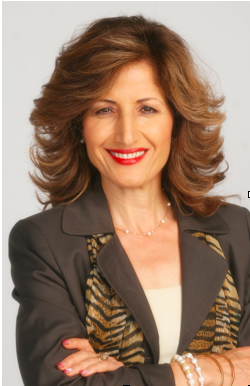 Bernadette co-founded the Chaldean Middle Eastern Social Services (CMSS) Program in San Diego and worked as a Clinical Director for Survivor of Torture Program at CMSS. She has been leading Dialectical Behavioral Therapy (DBT) skills training groups since 2001.